Have you ever wondered what it would have been like to be a female newspaper reporter between 1930 and 1960? 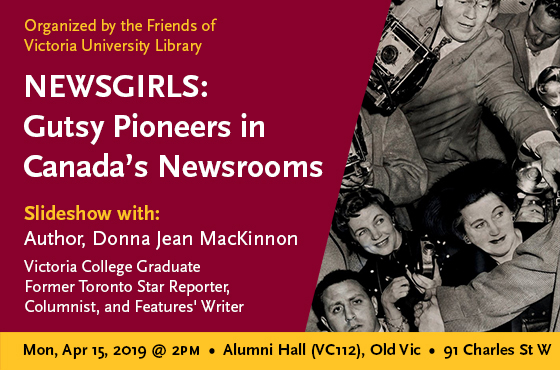 Come hear author, Victoria College graduate, and former Toronto Star reporter, Donna Jean MacKinnon, as she presents an illustrated lecture from her debut book, “Newsgirls: Gutsy Pioneers in Canada’s Newsrooms“, where we’ll get the inside scoop about newsgirls and major world events from this time period. Monday April 15, 2019 at 2:00 P.M. The Annual General Meeting of the Friends of Victoria University Library will be taking place on Wednesday March 27th @ 6pm in Room VC115, Old Vic. 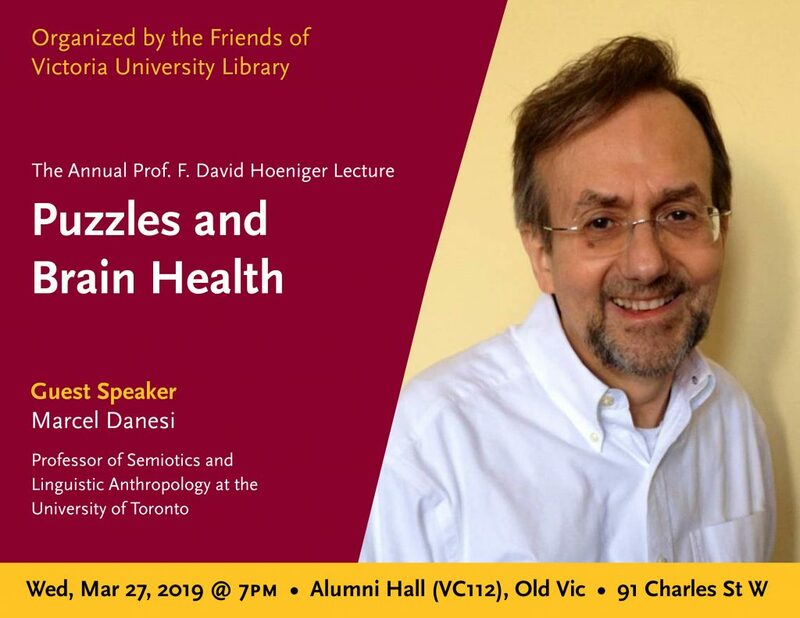 Afterwards, please join us for the Annual Professor F. David Hoeniger Lecture with the always charismatic Professor Marcel Danesi! 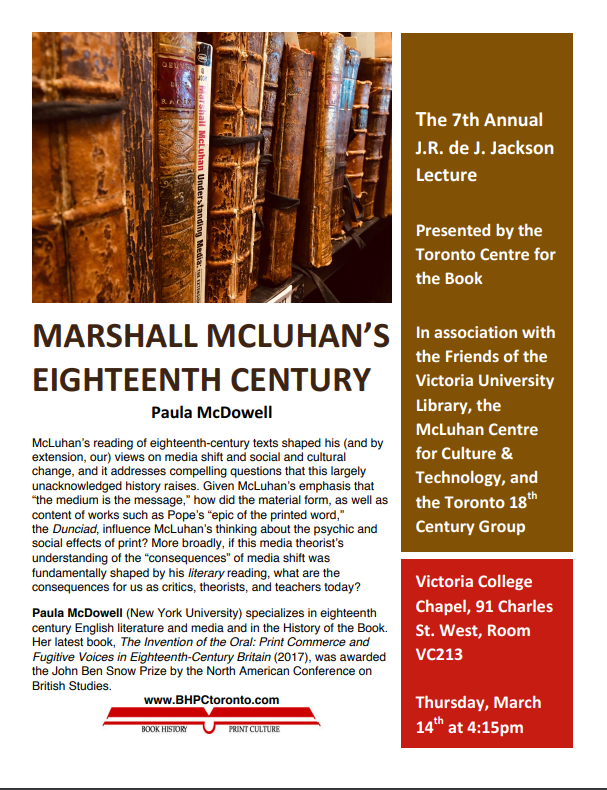 The 7th Annual J.R. de J. Jackson Lecture is upon us! Don’t miss it!